Don't leave the grooming to the girls. 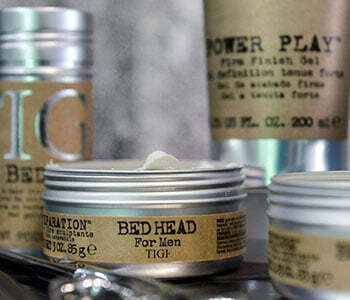 TIGI B For Men helps guys to achieve all sorts of styles, from sleek and sophisticated to sky-high and edgy. TIGI B for Men recognises the needs of the contemporary male and guys who are becoming ever more interested in their appearance and image. To suit this, TIGI have launched a range of products for hair that looks, smells, and feels immense. The compact range of shampoos, conditioners and styling products provide the modern man with everything he could need for daily grooming. From maximum fullness, to a great texture and healthy hair - all achieved with minimum fuss.